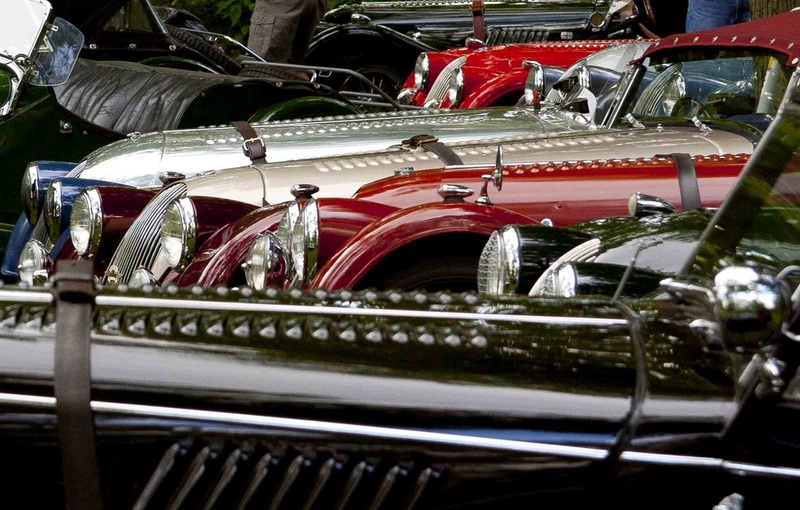 The Ohio Morgan Owners Group is a small easy-going collection of people with at least one thing in common; a great fondness for the quirky little British sports cars built by the Morgan Motor Company. Or maybe that should be a quirky collection of people and easy-going automobiles. Either way, we have a good time, and I think we are all pretty much convinced that Morgans and their owners traveling together, literally and figuratively, have more fun. Our club strives to make our events enjoyable for couples and we have very high participation from both members. The Ohio part of the club name is not a requirement, but more in the way of loose geographic shorthand. We welcome members from anywhere and have them from West Virginia, Indiana, North Carolina, and Ontario, for example. Likewise, the word owner is used loosely. Future, past and virtual owners are welcome. We certainly have members that own a vast number of parts that might or might not comprise an automobile when properly arranged. For more on the club, see "About". The Morgan Motor Company began selling vehicles in 1910. Until 1936 they were all 3-wheelers because they were classed as motorcycles and thereby dodged some pesky government regulations. The first 4-wheeler arrived in 1936 and they've been building more or less the same English sports car in the same way since, though recently they've branched out into designs that are even stranger. Very recently, they've begun making 3-wheelers again because they are classed as motorcycles and thereby dodge some pesky government regulations. And they just have to be fun. We have 3 events a year, only one of which has a business meeting involved with it, and that blessedly short. There is a holiday party in January. As you might imagine, Morgans rarely attend that one. There is a Spring Icebreaker to provide some pressure to leave the poor dandelions alone and do some Morgan maintenance, and maybe some exercises so you can get in and out of it. The big event of the year is in the autumn, typically in late September. That one's a weekend-ish affair that usually includes a couple of fun driving events and multiple social events.